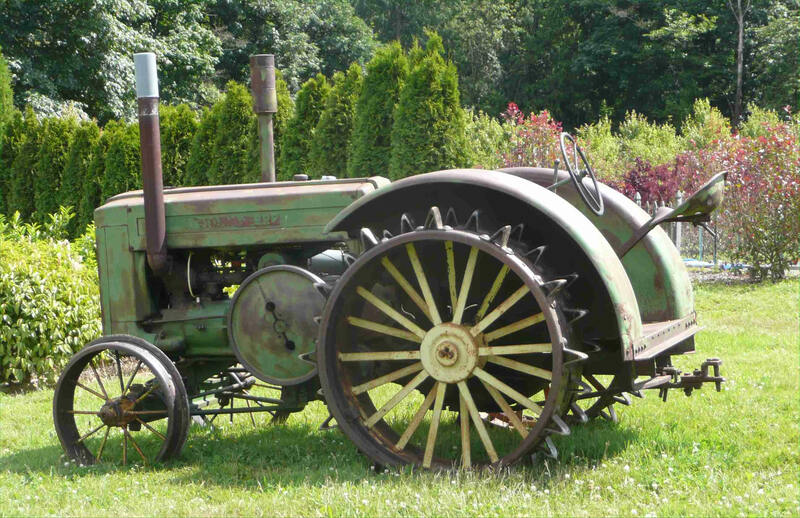 The "Model D" was the first production tractor to bear the John Deere name, and also the longest-running tractor model ever made by any company (1923-1953). 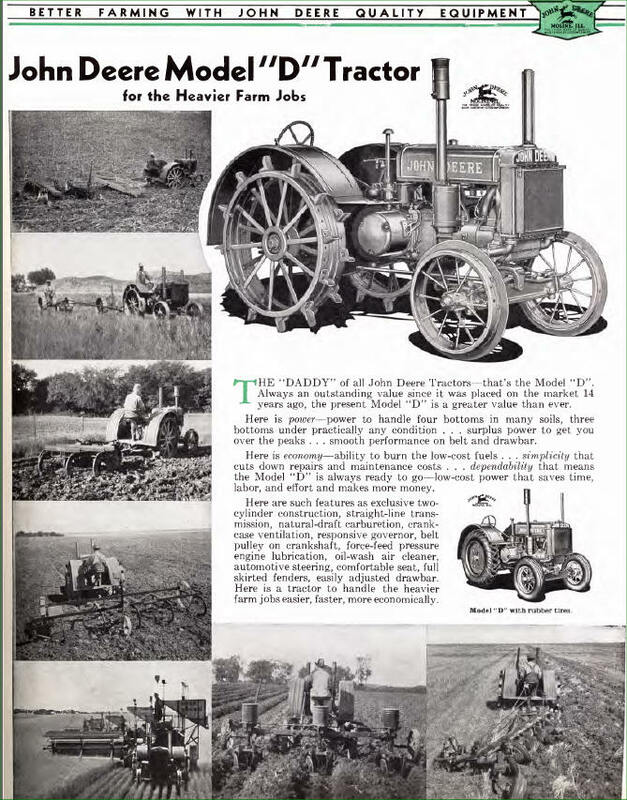 In its early advertising, John Deere referred to the Model D as "the Daddy of all John Deere Tractors" (ad below). It runs on almost any fuel and has no on/off switch or any safety features. It is started by turning the "flywheel"--the big metal wheel in the middle of the engine--and has two big horizontal cylinders and a distinctive sound. Come see a piece of history--feel free to put the kids in the seat and take photos, etc. 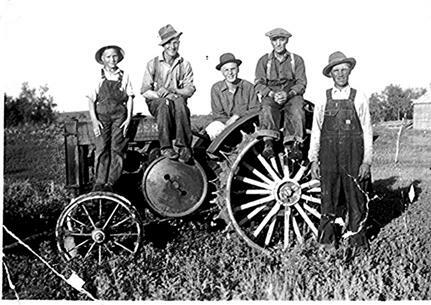 When the 1939 Model D came out, only 11% of American farms were electrified and so the tractor was used not only for work in the field, but also as a power source for other tools, mainly by the use of a belt (see photo at top left). 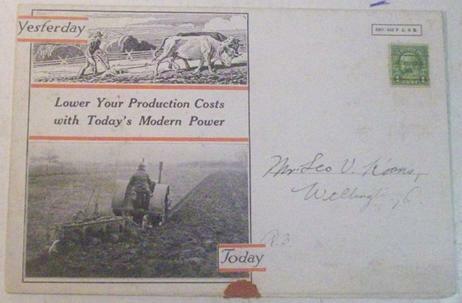 The Model D helped transform American agriculture from horses/oxen to internal-combustion tractors--see the Model D in the postcard at right (note also the way the postcard is addressed!). 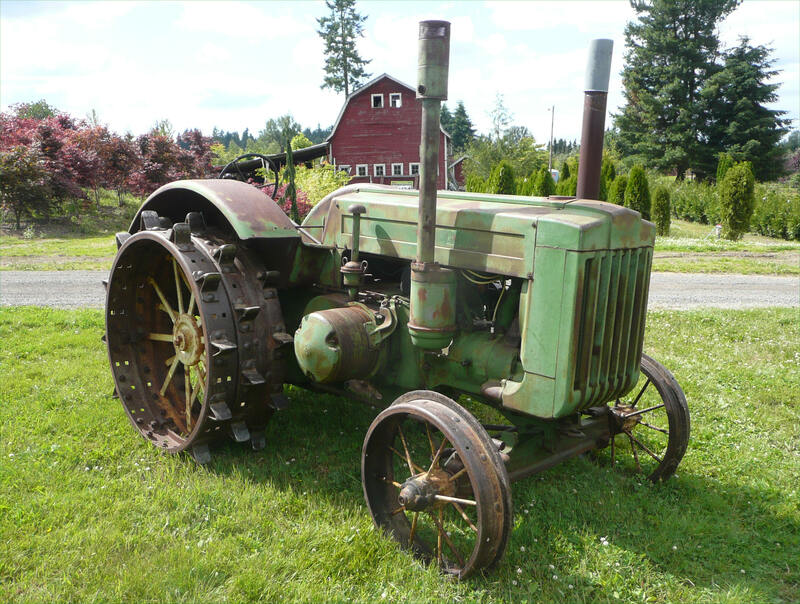 Our 1939 Model D was the first of the "styled" John Deere tractors--designed for John Deere by "celebrity designer' Henry Dreyfuss (he also designed the Hoover Vacuum, Poloroid Camera, Princess Phone, and many other American "icons"). A restored 1947 Model D. This shows the beautiful art-deco-inspired "styling" by industrial designer Henry Dreyfuss that was started with the 1939 models. Before his changes, the "unstyled" Model Ds looked like the tractor in the ad below. "I will never put my name on a product that does not have in it the best that is in me." 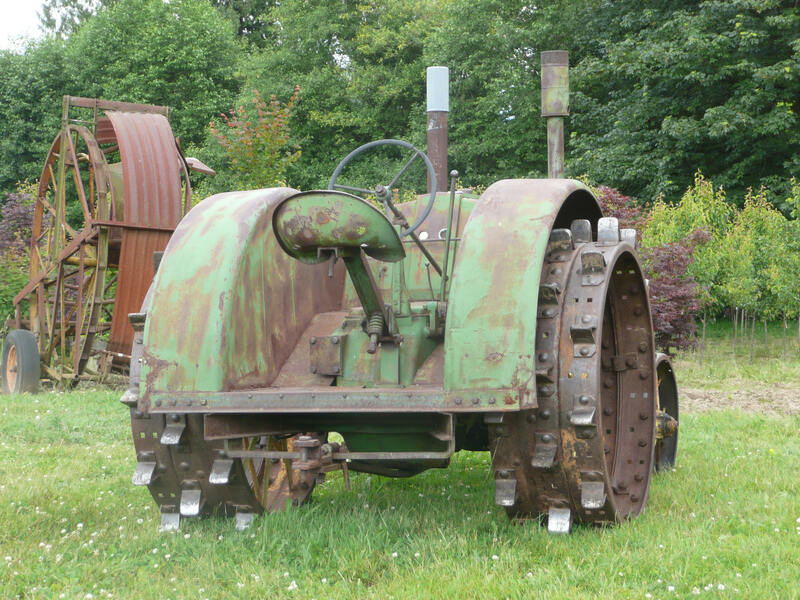 The John Deere Company originally made plows. 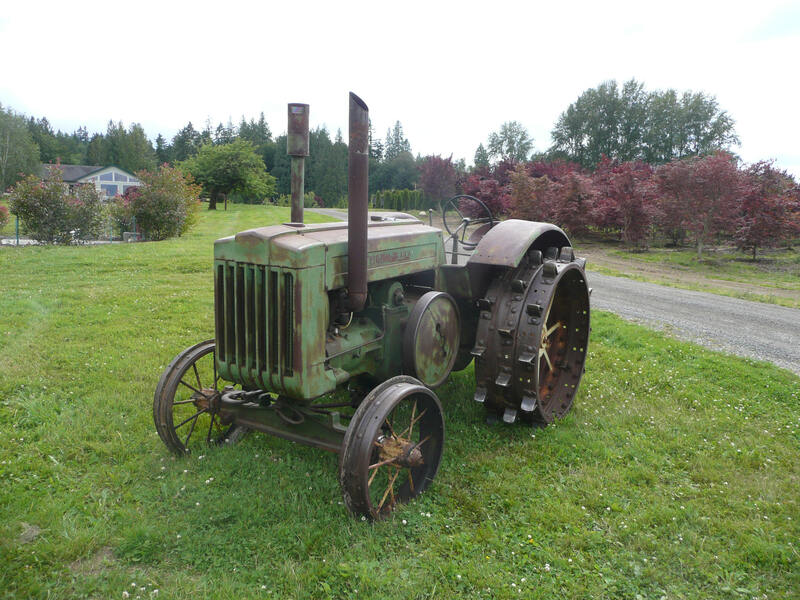 Early on, selling tractors was seen as a way to sell more plows. 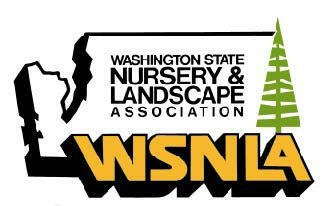 We specialize in Privacy Trees for screening--no other nursery in Washington State has our combination of a wide selection of privacy trees grown locally, many years' experience in "what works where", professional planting services, ongoing support after planting, and thousands of satisfied customers. We have a nice selection of Ornamental Trees, with many of our trees being on the "Great Plant Picks" list for the Pacific Northwest. We also offer Transplanting/Rescue services, and our "Native Plant Restoration" Program is available to meet governmental requirements, for erosion-control, etc. We are a tree farm, not just a nursery. 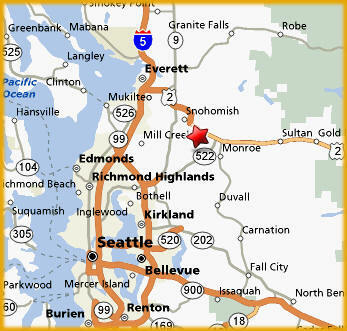 Most of the trees we sell have been grown right here in Snohomish at our 60 acre tree farm. Buying directly from a grower gives you fresh trees, great selection, and low prices--you maximize your purchasing power! For more information including photos of our farm and growing fields, click here. We don’t require any money “up front”—you only pay when the job is completed (unusual exceptions to this are special projects, lengthy “holds” on trees, or large Restoration jobs). Be careful of contractors asking for “up front” money. We’ve been in business since 1995 and have a dedicated, experienced staff including an Arborist (RB), a Landscape Designer (Janet), and an experienced Business Manager/Nurseryman (Michael). More information To hear Ed Hume interview Michael on KOMO Radio's "Ask the Experts" gardening show, click here. 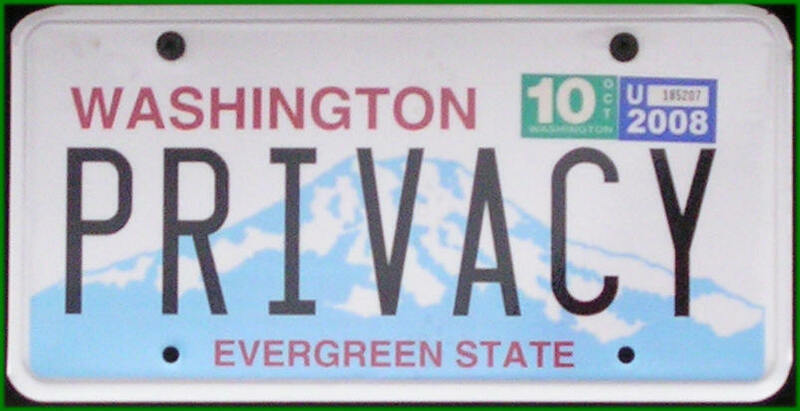 Our License Plate says it all! View Directions to our location.